1. Preheat the grill on high. Place the scallops in a resealable plastic bag with olive oil, lime juice, sat, and pepper. Seal and set aside to marinate for at least 10 minutes. 2. Whisk together the vinegar, olive oil, agave, sesame oil, and soy sauce in a small bowl. 3. 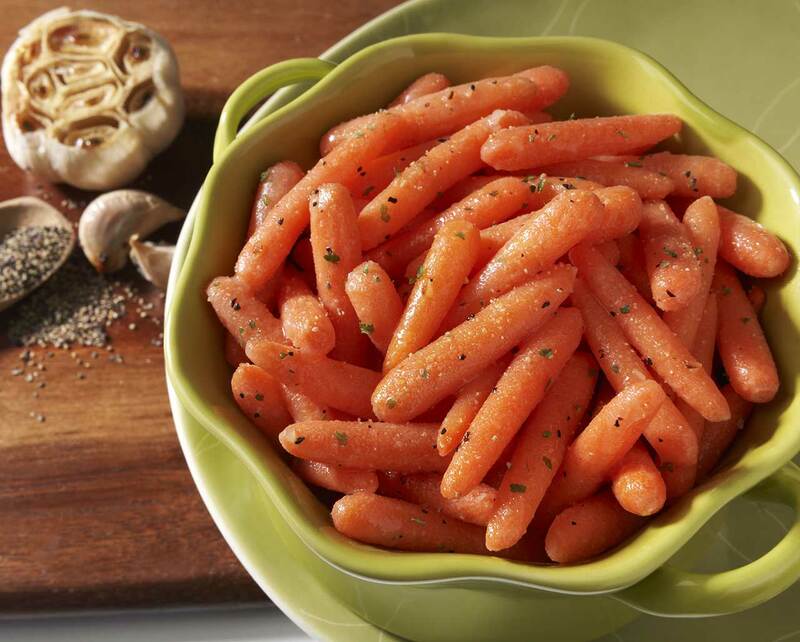 Combine the carrots, peas, endive, and pea shoots in a large bowl. Pour the dressing over the salad and toss gently to combine. Set aside. 4. Remove the scallops from the marinade and place on the hot grill. Cook, completely undisturbed, for 3 minutes. Carefully turn them over and cook, undisturbed, for another 2-3 minutes. Remove the cooked scallops from the heat. 5. 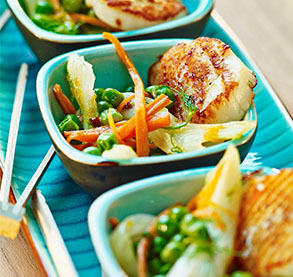 Divide the salad and scallops equally between serving plates and serve.